In the bee world, I am like Joe Francis. When bees are at their wildest, I am there with the video camera! A few weeks ago, we harvested honey. The extraction process does a pretty good job of removing the honey, but it can absolutely not remove all of the honey from the comb. That leaves the beekeeper with a potential problem. The remaining honey will draw ants or bears or the Cavity Fairy if stored “wet”. The remaining honey must be cleaned up. How the cleanup is best accomplished is a bit of a religous debate among beekeepers (as is most everything for beekeepers). 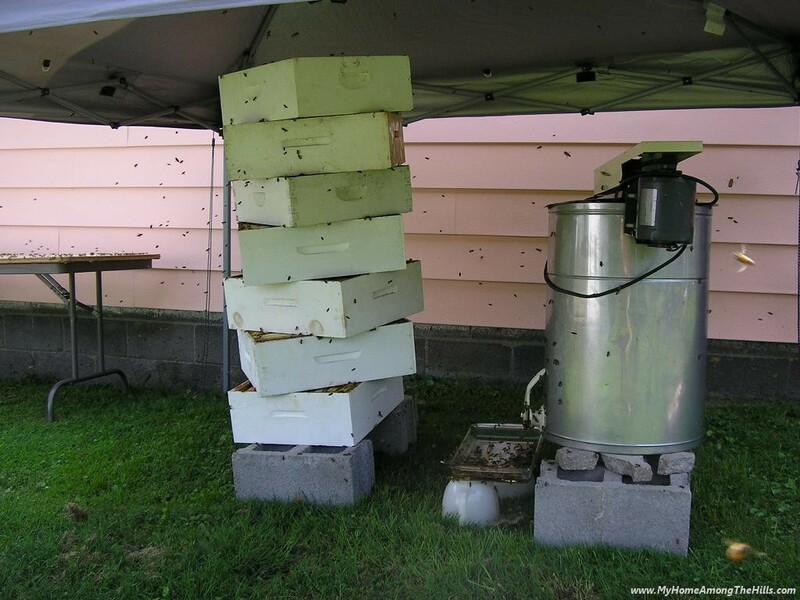 The bees do a fantastic job of cleaning the supers and will remove every last drop of honey from them and carry it back to the hive. The religous debate is where the wet supers should be placed for them to clean. You see, bees have this funny tendency to get frenzied when presented with a bunch of sweet honey. They begin what is called robbing. The term robbing sort of makes more sense in the other context in which bees rob. When a nearby hive is weak due to disease, swarming, etc, other nearby, stronger hives will raid the weaker hive and rob all of the honey. Of course, a battle ensues and many bees die. It’s not much fun for humans to be around either. 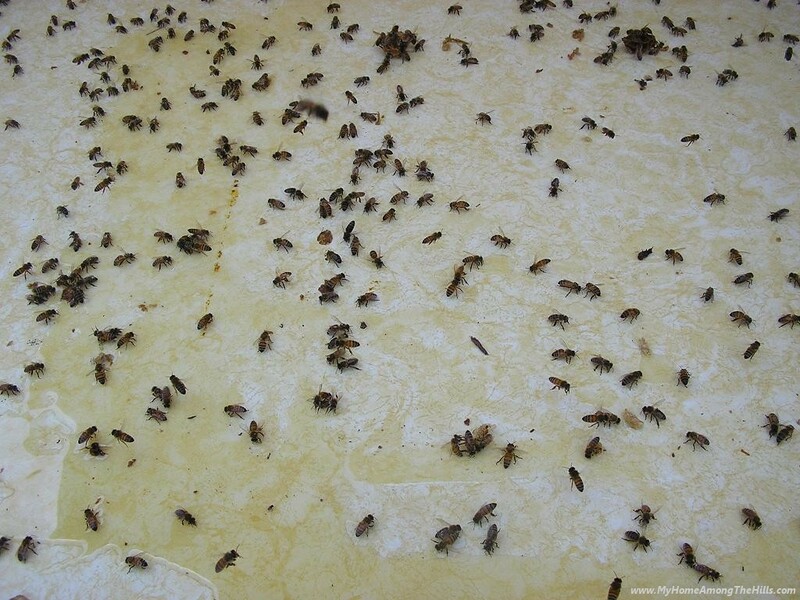 But the stronger bees will rob every bit of honey from the weaker hive, often killing the weaker colony in the process. 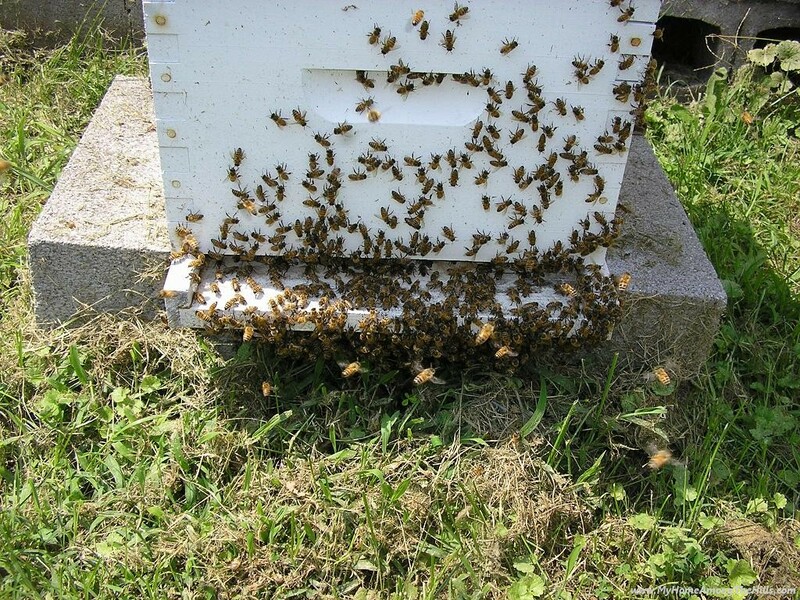 So back to the religous part…some beekeepers suggest putting the wet supers a long distance from the hives so as not to encourage robbing behavior between the hives themselves. Others (like me) say that if all of the colonies are healthy and strong, it won’t be as issue. 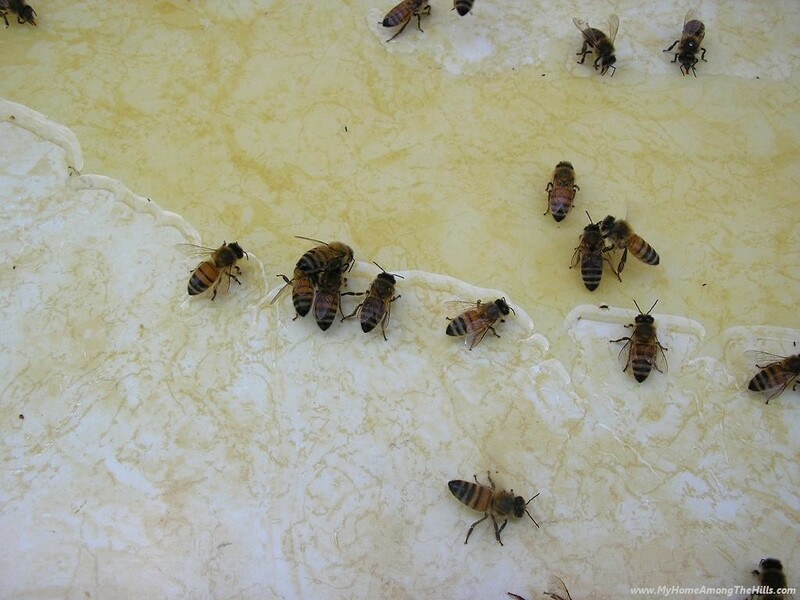 The bees will “rob” the wet supers and leave each other alone. I also don’t have 500 acres to work with so I have little choice. This second video was taken 5 minutes after I put the wet supers and equipment outside. The bees smell it very quickly and start to work. It takes 1-2 days for the bees to clean the supers completely dry. Afterwards, they quickly settle back into their routine and act like good little bees. But, like Joe Francis, my cameras are always rolling and I got the evidence to make Bee-Momma proud! Leave no honey behind. Wow, that is definitely Bees Gone Wild! .-= YDavis´s last blog ..Golden Friday =-. .-= the inadvertent farmer´s last blog ..Friday Funnies…A metaphor for my life! =-. That video was really neat. Made my plain sandwich for lunch not seem so dull. Hope you have a nice weekend. Again, something cool I didn’t know anything about. Thanks. .-= ceecee´s last blog ..Feeling a Bit Droopy =-. We haven’t had this problem yet, but I’ll be happy to have it next year. .-= Chiot’s Run´s last blog ..Hello World =-. Bees! We just took our first honey off a few weeks ago. I’ve loved the journey working with them the past two years. Nice videos too… I put our wet supers about 100 yards away and they seemed to clean it up nicely. .-= Beau´s last blog ..Cutting Up the Fallen Hickory =-. .-= Capri Kel´s last blog ..All American Past Time =-. Well, there’s a lot I didn’t know about bees! .-= tipper´s last blog ..What School Used To Be Like =-.